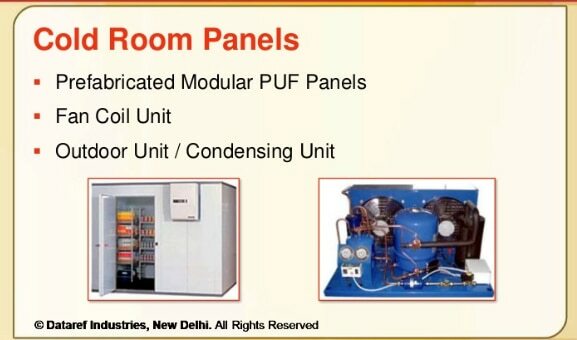 Dataref Industries is the largest Manufacturer | Supplier | of Cold Room Panels | Fan Coil Unit | Outdoor Unit | Condensing Unit in Delhi | Mumbai | Maharashtra | Bangalore | Surat | Agra | Gurgaon | Faridabad | Ghaziabad | Banaras | Haryana | Our manufacturing unit is equipped with the latest machines that provide greatest flexibility during production production. The complete facility is backed by the team of highly qualified engineers, who work in tandem with the customers to offer them best solution for their specific needs. In addition, we regularly update our facilities and technology to confront the challenges of the future. Dealer Network We have wide spread network of dealers that enables us to reach our customers in every corner of the country. These dealers facilitate on-time delivery of the products at client's desired destination. They offer our clients fair quotation for every product and attend all their queries. Our list of dealers include the following: Himalaya Mfg. & Sales Co. Jindal Refrigeration Sigma Refrigeration works APEX Instruments Science Tech (India) Seven Star.